Last weekend, Tom Cruise proved that, even as he's getting close to 60, he can still be a major draw for moviegoers as an action star. Mission: Impossible - Fallout topped the box office with an impressive $61.2 million take. Bolstered by great reviews, the sixth movie in the long-running franchise should hold over quite nicely this upcoming weekend. However, Disney's Christopher Robin may have something to say when it comes to taking over the top spot. This upcoming weekend also sees the release of the action/comedy The Spy Who Dumped Me as well as Fox's YA sci-fi/thriller The Darkest Minds. It could be one of the closer fights for the top spot for the entire year. Disney has done quite well with their recent live-action adaptations of animated classics. 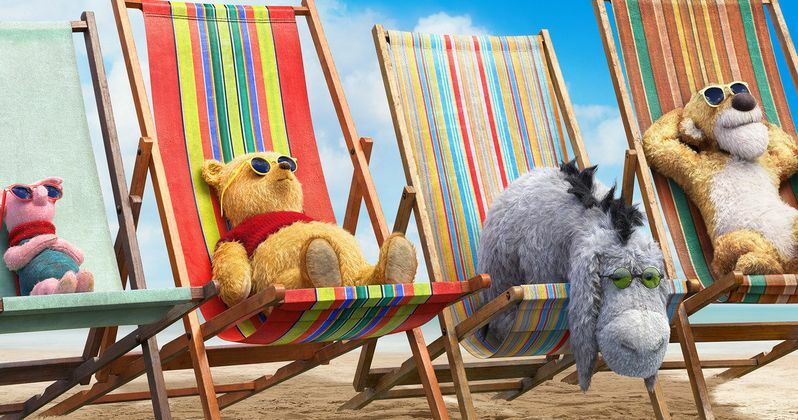 Christopher Robin is cut from that same cloth, but isn't adapting any specific movie. Instead, this furthers the Winnie the Pooh story and centers on an older version of the bear's human buddy, played by Ewan McGregor. Early predictions had it pegged at around $30 million. Reviews could play a huge part and the movie could easily land in the $35 million range. Mission: Impossible - Fallout, which should see a very good holdover, will be right in that same range. Both movies should be right on one another's heels. The Spy Who Dumped Me is the latest from Lionsgate and should be looking at a reasonably successful opening weekend, bringing in somewhere in the neighborhood of $17 million. The R-rated comedy stars Kate McKinnon and Mila Kunis and currently sits at 62 percent on Rotten Tomatoes. The Darkest Minds, on the other hand, could wind up costing Fox some money, as the effects-heavy YA adaptation looks like an expensive endeavor. The studio hasn't promoted the movie as heavily as they possibly could have, at least not on the level of a big blockbuster. The Jennifer Yuh Nelson-directed effort should be looking at roughly $12 million on its opening weekend. The Darkest Minds looks similar in many ways to the X-Men movies that Fox has been producing for nearly two decades, which makes this something of a curious situation. In any case, $12 million won't be enough for this movie to be a hit. Another one to keep an eye out for this week is the expansion of Bo Burnham's directorial effort Eighth Grade, which has scored rave reviews and has done well in limited release so far. Mama Mia! Here We Go Again should be rounding out the top five this weekend, adding another $8 to $9 million to its total, which already stands at $170 million worldwide. Be sure to check out our full list of predictions for the top ten at the box office this weekend and check back with us on Sunday for the full list of estimates. These numbers come to us from Box Office Mojo.